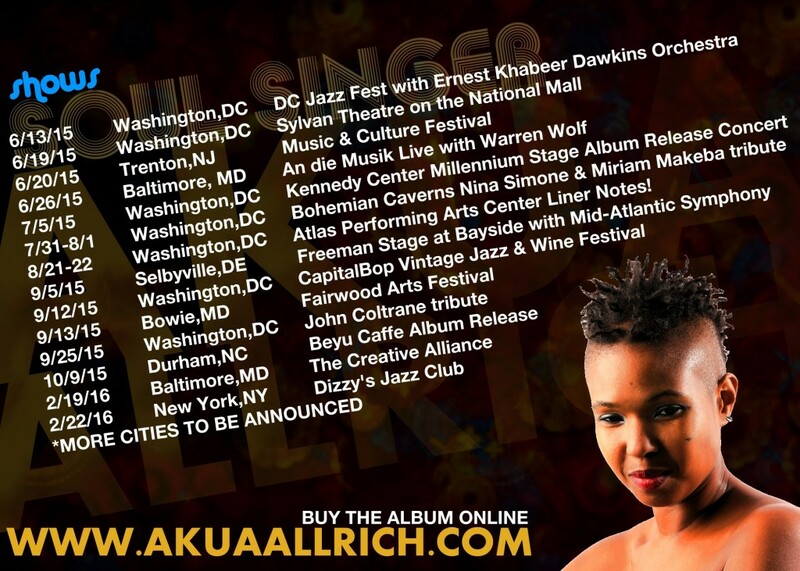 RedBark Productions & Akua Allrich bring you The “Soul Singer” tour! CELEBRATING OUR NEWEST PROJECT “SOUL SINGER” NATIONALLY & INTERNATIONALLY! Mark your calendars and get your dancing shoes ready! 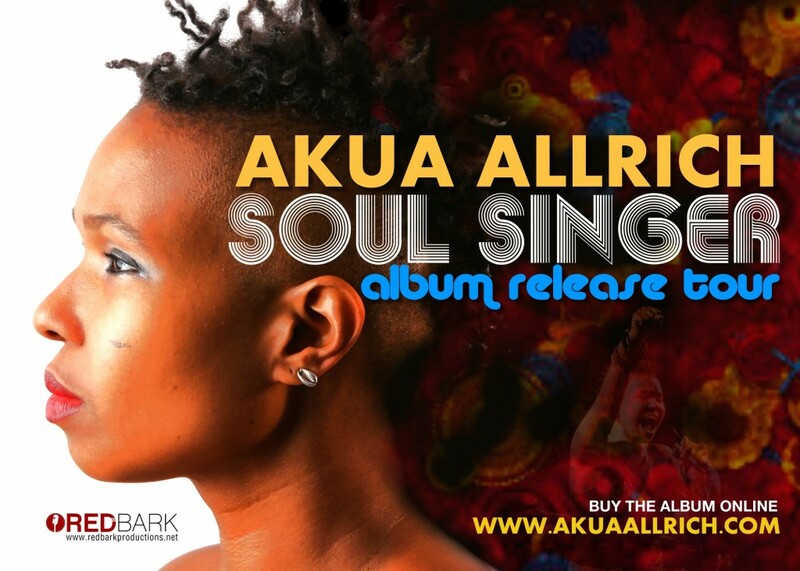 RedBark productions and Akua Allrich are excited about this coming tour and release of Akua’s 3rd album, “Soul Singer”. With a stellar line up of musicians, this project presents Akua in a whole new light, highlighting her talent for composition as well as her ability to merge different sounds and genres into 1 complete beautiful musical experience. Come on tour with us and share in all the energy! Spread the word! Bring Akua to your town booking@AkuaAllrich.com!! Check out Akua’s gorgeous New Website, www.AkuaAllrich.com! Be the first to order your copy of “Soul Singer” today! Bring Akua to your town! Contact us at Booking@AkuaAllrich.com. Order you “Soul Singer”Album today! Look out for more of the “Soul Singer” tour dates! Next post ORDER Akua Allrich’s “Soul Singer” TODAY!